In the past, any woman who wanted to climb the corporate ladder was forced to unleash her “inner man.” She rolled up her shirtsleeves, leaned in, and embraced masculine roles in order to survive. After all, being sensitive, intuitive, humble, and kind — a.k.a., “feminine” — wouldn’t get her very far in what was most definitely a man’s world. But that’s all about to change. In the very near future, acting like a woman will be something both sexes aspire to — and we have robots to thank for it. Women in the workplace have internalized the ‘act like a man’ message because we felt we had to. After all, men rose to the top by being boldly confident, competitive, and outspoken and by displaying unabashed self-interest. It seemed self-evident that women should do the same. Problem is, acting like a man doesn’t feel good to most women. There are exceptions, but in general, through a still debatable combination of nature and nurture, women tend to be wired differently. The good news is, a big paradigm shift is on the horizon. Very soon so-called feminine characteristics will be celebrated, not shunned. No matter how tolerated, pervasive, and rewarded even the most hyper-masculine behaviors are today — Exhibit A: the cutthroat, sexist environments recently uncovered in scandals at Uber and Fox News — more and more studies are finding that the exact opposite traits and behaviors are what really create effective leadership. These studies point to a growing need for innovation, collaboration, long-term performance, and characteristics like a quieter ego, open-mindedness, empathy, and choosing to listen instead of rushing to speak. What’s causing the growing demand for these “feminine” traits? A tech tsunami — in which artificial intelligence and smart machines take over many jobs people now do. It’s poised to not only level the playing field for women but also transform the whole stadium. According to one study, as many as 80 million jobs ranging from manufacturing to management could be automated in the next 10-15 years. 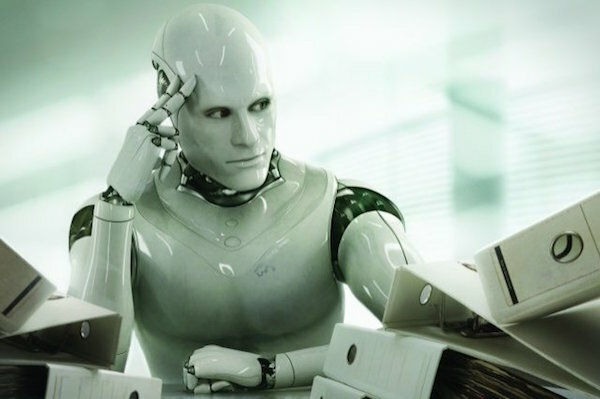 Most businesses will be staffed by an increasing number of machines and robots in this upcoming Smart Machine Age. The jobs that remain will be those requiring cognitive and emotional skills that humans possess: critical thinking, collaboration, innovation, creativity, and the ability to build relationships and engage with other humans. In other words, the “safe” jobs will be those requiring traits long associated with women. At the same time, the large bureaucratic, hierarchical organizations that have dominated the world will become very rare. In its place a part-time gig economy will rise up, and fields involving the care, education, training, and development of other people will be the main opportunity for jobs. In the Smart Machine Age, people of either gender with big egos, big mouths, and overconfidence issues will struggle. Those with humility, great listening skills, and emotional intelligence will distinguish themselves as competent and effective leaders. No, they won’t all be women — but for the most part they will have mastered traditionally “soft” and “feminine” traits. Who would have ever guessed that smart robots would break the glass ceiling for women. Strive to be more collaborative than competitive. Competitiveness means aiming to outdo another for acknowledgment, supremacy, or a reward. At work, however, it impedes collaboration, learning, and innovation. Studies from MIT and others have already shown that teams with more collective intelligence (CI) are more effective and that CI is associated with emotional intelligence, social perceptiveness, and sensitivity of group members — not confidence or even IQ of individual members. These studies have found a linear correlation between percentage of females in a group and level of CI. In the long run, it won’t help you to view your peers as competitors or to focus on proving how much better you are than everyone else. Those who focus their attention outward on supporting, encouraging, and collaborating with others will find that it leads to more success. Be humble — not entitled or arrogant. Higher-level thinking, creativity, innovation, and emotional engagement require less ego and image protection and more honesty about strengths and weaknesses, a willingness to make mistakes, and a greater tendency to focus on others than on self-interest. These are the psychological hallmarks of humility. Women tend to be more wired for these traits and should keep developing these attributes, not tamp them down or assume an inauthentic cloak of overconfidence or arrogance. Humility frees you to think, learn, and be more creative and collaborative. Soon, success in all fields will require continual learning in dynamic environments, and learning comes from listening. Additionally, critical thinking, innovation, and collaboration require us to be open to new ideas and perspectives, test our beliefs, and seek disconfirming data. Listening, rather than interrupting with our own arguments or ‘telling’ what we think we know, helps us get past our biases and make better decisions. This skill requires constant vigilance, which can’t happen if you are arrogantly outspoken or constantly demanding to be heard. Find power in kindness and compassion — not unfeeling efficiency. A common message today is “women can be just as tough and strong as men.” Women can and should be “tough” in the context of the mental, physical, and emotional toughness that translates to emotional resilience, risking failure in order to experiment and learn, being willing to test thinking and beliefs, and changing course in the face of contrary evidence. Just don’t mistake toughness with being cold, competitive, impersonal, and business-like. In our culture, kindness and compassion are often equated with weakness and being taken advantage of. This is a misconception and it will have to change. In artificial intelligence-dominated workplaces, kindness and connection will be what keeps humans relevant and employable. Our ability to empathize and care about others will fuel innovation and collaboration and effect leadership. It should be comforting to women — and for that matter emotionally intelligent and humble men (there are plenty of them out there!) — to hear that they need not don an unnatural suit of overconfident, masculine armor to get ahead in the Smart Machine Age. The old boys’ bravado club will be decimated by the takeover of AI. In the meantime, we should all make daily commitments to work harder at maintaining humility and taking our social and emotional intelligence to a higher level — regardless of gender, job title, or industry.